Tiger Zinda Hai is Steady on 3rd Thursday (21st Day). Fantastic Trending in 3rd Week. Tiger Zinda Hai is very much steady in 3rd week at box office. Story is same for 3rd Thursday (21st Day) also as early trends for the day is coming in. Tiger is going very steady today. When samples of morning, noon and evening are compared to yesterday there is a drop of just 10%. At places drop is even less. Tiger is showing bit more drop in interiors this week, otherwise collection would have been further solid. Still night shows are left and hope film remains strong there also. Tiger has collected an approx 316.7 crore nett in 20 days so far. Film should add 2-2.1 crore nett on day 21 that is today to collect around 318.75 crore nett by end of week 3. Film third week business should be around 27.25 crore nett. Fri - 3.7 crore nett. Sat - 5.65 crore nett (Jump of 52% from Friday). Sun - 8.25 crore nett (Jump of 46% from Saturday). Mon - 2.7 crore nett (Drop of 27% from Friday). Tue - 2.55 crore nett (Drop of 5-6% from Monday). Wed - 2.3 crore nett (Drop of 10% from Tuesday). Tiger will witness first significant drop in screening because of multiple new releases this Friday. However, film will still have enough to do good business at box office. There are multiple new releases coming in Kaalakaandi, Mukkabaaz and 1921. This will have an impact on Tiger progress from 4th Friday onward. If Tiger withstand this opposition and stays strong then film has good chance of touching 340 crore nett in its lifetime and even cross PK box office figures. I am seeing the same person Mr. Sunil writing comments by using different fake I'd. I think this person is di hard fan of Aamin. I don't understand why this person criticising Salman movie and how he gets time to observe and write foolish comments. Kuch bhi karlo PK break nahi hoga..
340 cr lifetime appears impossible from now onward. sun chacha chaudhary Ghajini romatic movie tha kya? 100 crore tab Salman khan jaanta bhie nahi tha kya hota hai jab woh Veer jaisi action movie de raha tha tab Aamir Ghajini ...Wanted kyun nahi beat kar liya ghajini ko? Dhoom 3 Jupiter pe release hua tha??? Abey kaunse gole se aye ho..
Then after sunday tak honeymoon period baad mein finish..
Man gaye Aamir ke stardom ko..
Aisa record banata hai sallu only chasing chasing karta rahta hai..
Jo idiots ro rahe h ki TZH PK aur dangal ka record nhi Tod payega wo hi chutiye pehle kehte the ki TZH 260 se zyada nhi collect kar payega aur after 1st weekend crash ho jayega ,,,,hahahaha,,, ye sirf ek stupid h aur ye bollyarena pe parshya aunty ke naam se famous tha aur waha bhi khub gaaliya sunta ta tha,,,aur yaha pe to fake comments ki dukan LGA di h idiot ne....alag alag naam se,,,,Khuranna,, dhyan Jain,,,etc,,,,,lagta h isi apne family se bhi zyada pyar aamir se h,,,saala din raat negativity faila ta rehta h..
Jo ek hi record hai jiske aage sallu fans ghutne tek dete hai..
Aur akhir mein jeet hoti hai Aamir ki hamesha..
Teri kitni fake id h ye bta ?? This is dean Ambrose,,, I am new here but I love ur site....but I am very disappointed bcuz of bollyarena ,,don't know why the have closed their site,,,plz can u tell me sir,,if u know... Why?? 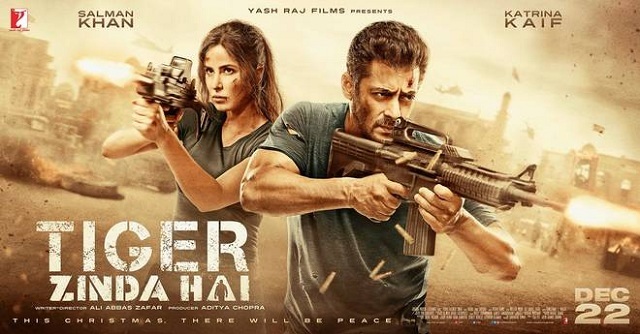 Because one dog (sorry donkey) by the name of Parshya (operating here by the name of Sunil Khurana, Dhyan Jain, Ravi Rao etc) polluted it so much it became unwatchable for sensible followers of Indian movies.. same trend developing here..
KHURANA ammir ko bol pehle Salman Ka 26 Saal Pura hahk Ka record tor ke Dekha .....sapno me vee nehi ayega Pura Zindagi beet Jayega.. 2 din ke record ki BAAT korteh ho.. The movie's stable trending in its 3rd week proves just one thing - star power of Salman Khan. It’s just another successful day at the box office for Salman Khan’s Tiger Zinda Hai. Things, when repeated, get boring but Tiger Zinda Hai is getting interesting with every passing day the box office. The movie is so close to cross Salman Khan’s highest grosser Bajrangi Bhaijaan. Though Lion rules the jungle, but Tiger is the new king of the box office. The movie’s stable trending in its 3rd week proves just one thing – star power of Salman Khan. Yes, the movie has been loved but you can’t just make it this big without having someone like Salman Khan. PK did 15cr. more in 3rd week than TZH.